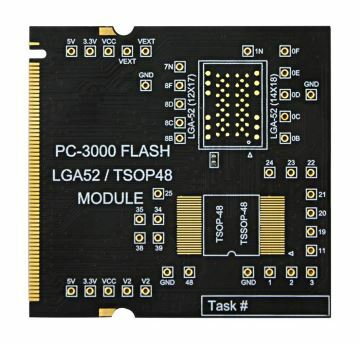 This adapter is designed for soldering NAND-chips in various form factors and connecting them to PC-3000 Flash Reader (Ver. 3 or 4). 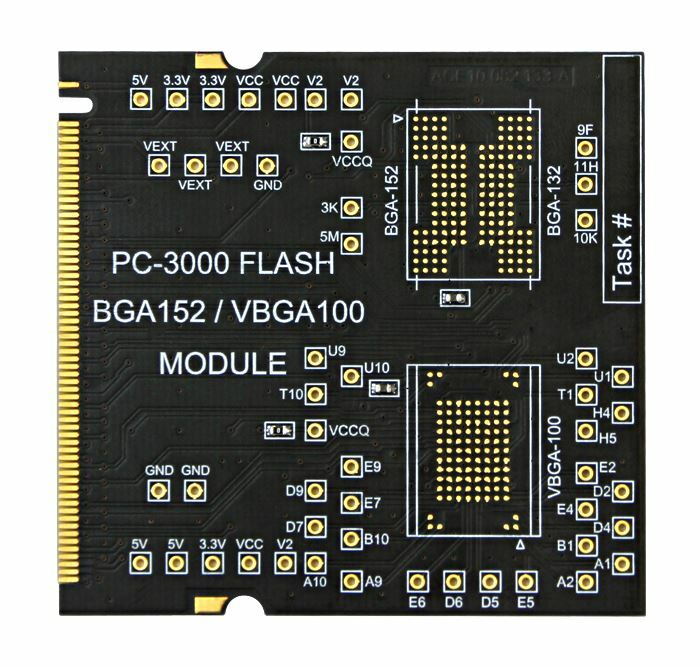 The device consists of a main Multiboard adapter and replaceable modules: Monolith, LGA52/TSOP48, BGA152/VBGA100. This approach allows to quickly switch between tasks and use hot air on microchips without the risk of damaging the adapter. 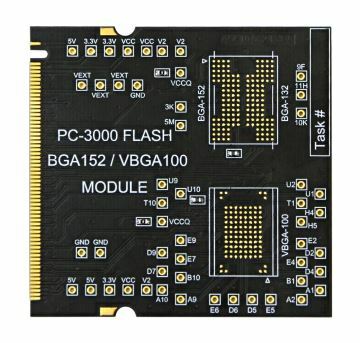 Main Multiboard adapter with a socket for replaceable modules. 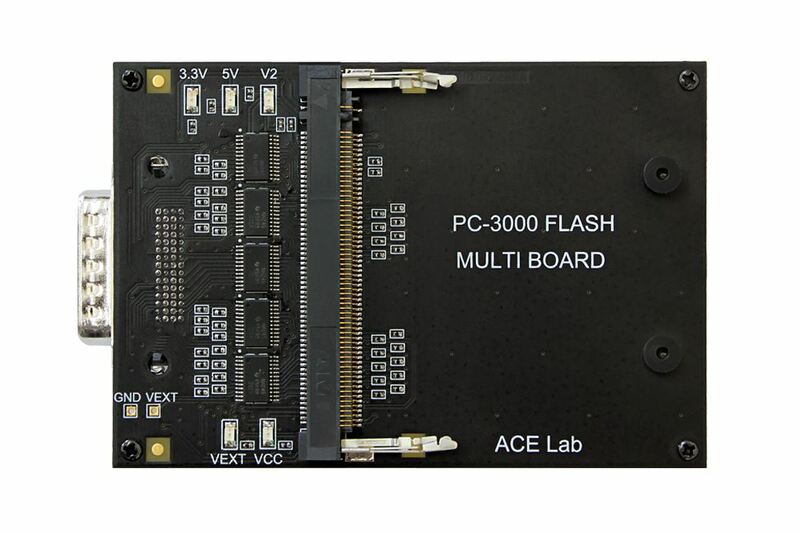 Specialized Card Adapter for PC-3000 Flash has been developed for reading out data from SD, microSD memory cards and MMC, eMMC chips in technomode. 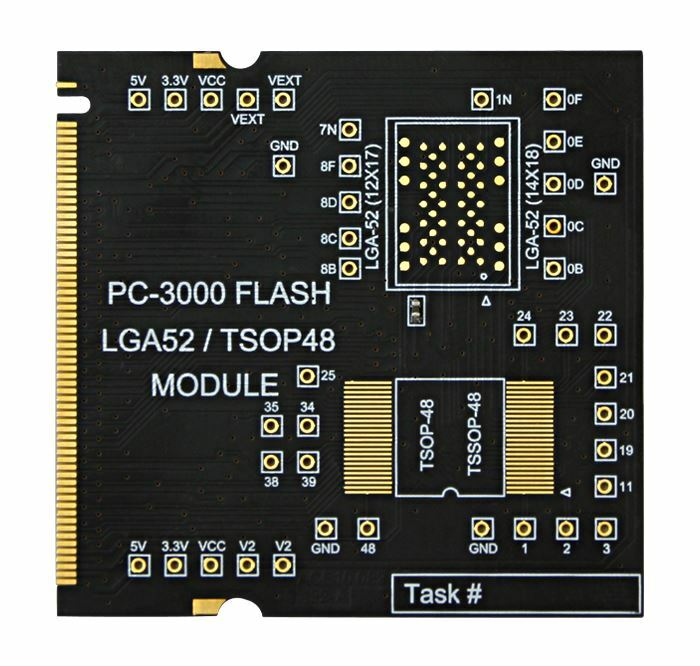 Technomode allows to access data on the card without disassembling it. This makes working with memory cards much more convenient and greatly facilitates forensic investigations. 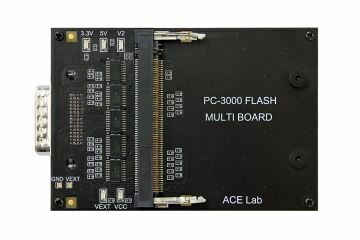 The adapter is connected to PC-3000 Flash Reader Ver. 3 or 4 (Flash Reader Ver. 3 requires power supply adapter). 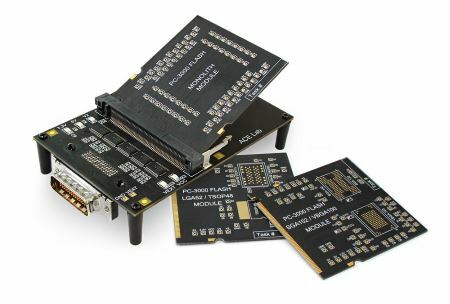 The new adapter has two slots for SD and microSD cards as well as soldering area for MMC/eMMC chips, frequently used in mobile devices and smartphones. The adapter is equipped by two independent power supply circuits for more efficient work with damaged memory cards. 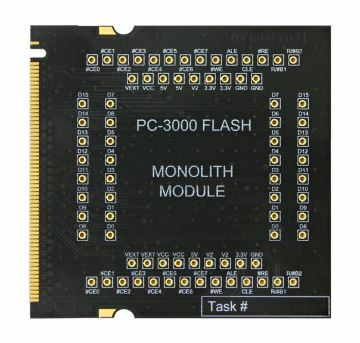 These new adapters will be available in the Advanced Monolith Set of adapters for PC-3000 Flash.